I follow Anna’s car as she turns down impossibly steep and narrow roads where the surface disappears to be replaced by volcanic gravel. It’s difficult to take my eyes off the road even though they’re being drawn, constantly, to the vast Ocean views that lie beyond the neat rows of vines standing bright against the black earth. Another turn, down another gradient that has me worrying about the negative effects of gravity on our near-perpendicular stance and we arrive in a wide, gravel driveway outside the immaculate, rural house of Los Llanos Negros whose walls are constructed of black, volcanic stone. 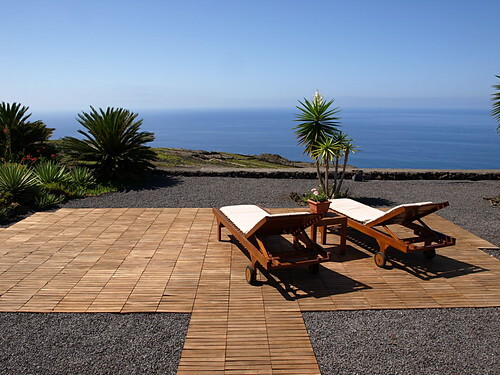 In front of the house, two sun loungers sit atop decking, facing the infinity of the Atlantic Ocean in perfect peace. It’s the sort of place you dream about on cold, wet, dark winter afternoons when you’ve forgotten what it feels like to have the sun on your skin and all around you is noise and chaos. Inside, the house is deceptively spacious with a stylish blend of tradition and contemporary that incorporates WiFi, a flat screen TV, a country-styled kitchen-dining room, terracotta floors, wooden ceilings and more rustic charm than you could cram into an episode of Emmerdale Farm. A near recluse to the tourist trail by comparison to her bigger and brasher Canary Island neighbours of Tenerife, Gran Canaria, Lanzarote and Fuerteventura, La Palma’s version of a tourist resort is the little seaside development of Los Concajos which lies five minutes drive outside the capital city of Santa Cruz en route to the airport. But on an island of 706 square kilometres with a population of less than 90,000, it’s nature, agriculture, vast skies and space that La Palma excels in, and the best way to experience that is to go rural. 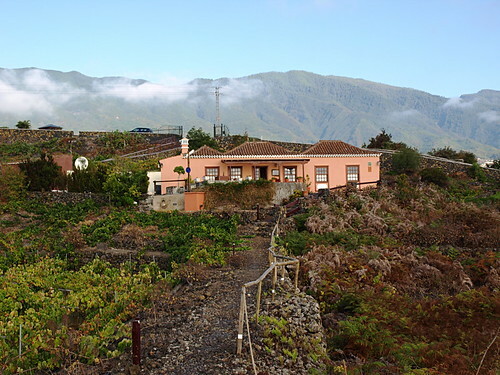 Los Llanos Negras is set on a hillside in Fuencaliente, La Palma’s most volcanic landscape, where in 1971 the volcano Teneguía erupted creating new land and enlarging the island. On the coast a lighthouse marks the land which is considerably younger than many of the municipality’s 1,940 residents. 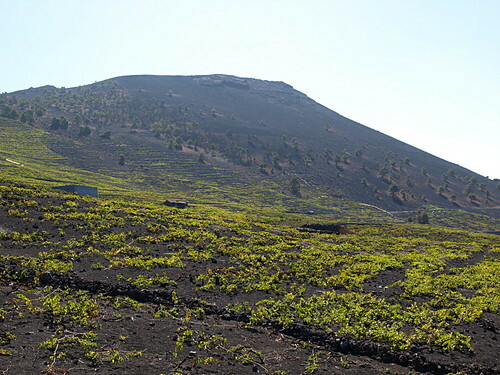 In the black, mineral rich volcanic debris, vines flourish, their top layer of ash extracting moisture from the clouds and trapping it beneath the surface. 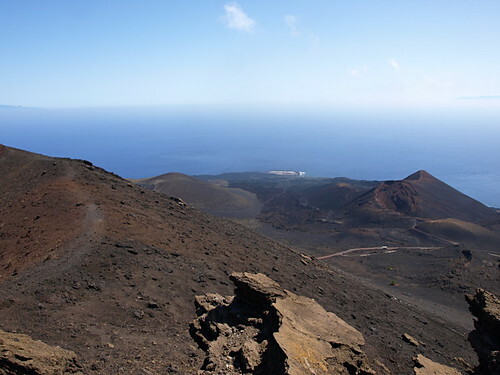 The nearby volcano walk which follows the island’s spine down to the coast is a magnet for hikers and the easy trail around the rim of the San Antonio volcano allow a rare insight into one of the Canary Islands’ most outstanding craters. But it’s after dark that La Palma really takes its visitors to new heights with some of the clearest skies in the world. Protected by strict light pollution control, the night skies here bare little resemblance to those of light polluted northern Europe. Here, the stars are bright and close enough to touch and many of the rural houses offered by the Rural Tourism Association are accredited as astro-tourism houses. In the outskirts of the pretty village of Mazo, Anna takes us to El Pósito, a 16th century former grain store which has been renovated to produce a two bedroomed, stunning rural house. Beyond the swimming pool and tennis court, we follow a trail through the vineyards to a small, circular viewing platform where the floor moves enabling you to lie on you back and track the progress of the stars as they travel across the firmament. Back in Fuencaliente we leave Los Llanos Negros and head to Las Indias where this time, the road is so steep we have to park at the bottom and take a short, thigh stretching stroll to El Níspero, the charming cottage of Ramón and Vina who are both in their seventies, bright eyed and spry. 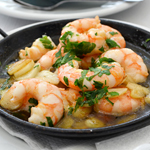 With its circular kitchen, shady barbecue and fruit-rich níspero trees, the house looks out over the ocean to El Hierro shimmering on the horizon. Above our heads, red billed choughs circle the pine forests, their distinctive cries echoing in the still air. We climb to the flat roof to survey the beauty of our surroundings and to enjoy the silence. Up here, the faintest breeze brings relief to the heat of the late morning. “This is a wonderful place to spend time”, says Vina, “with or without clothes.” I look for any sign of irony in her eyes but there’s none. 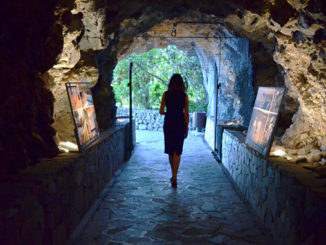 She’s right, it is a wonderful place to spend time, surrounded by the stars, the vines and the beauty of rural La Palma – with or without clothes. 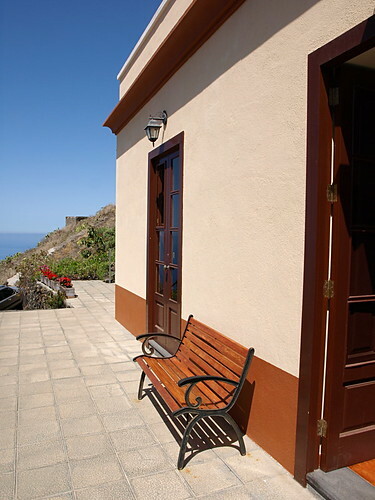 We were introduced to La Palma’s rural accommodation by the Rural Tourism Association who have almost 80 rural houses available to rent on the island. 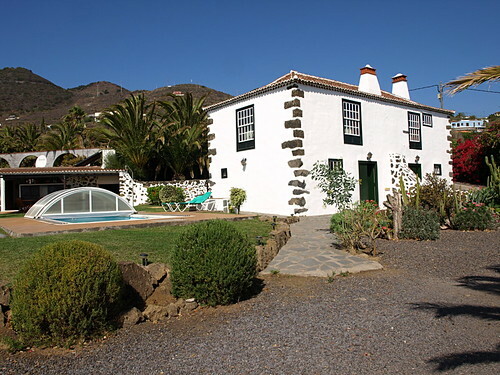 UK online, slow travel specialists Inntravel offer a variety of rural houses to rent, including all of the ones featured here, from which to explore the island on their self guided walking holidays. Very nice adventure you have there. 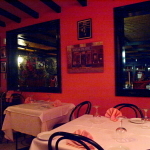 I’m actually planning to visit travelrepublic.co.uk and book a holiday in La Palma. 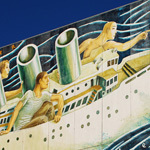 Thank you for your blog post; now I have an idea on where to stay.